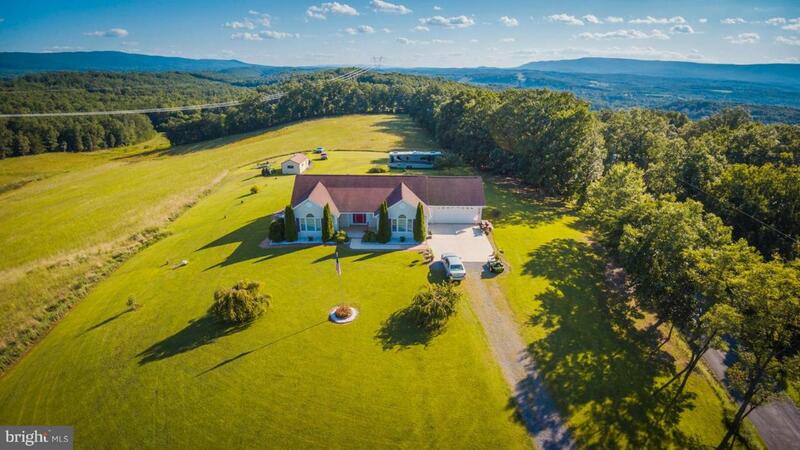 This property will take your breath away-enjoy the quiet beauty of the mountains, rolling fields and big sky! 42+/- acres with 3BR/2BTH ranch style home with full basement , double car garage, corian counters & ceramic tile that has been lovingly cared for. Start farming and live off this beautiful unrestricted land. Add'l old farmhouse can be redone &other buildings are icing on the cake!